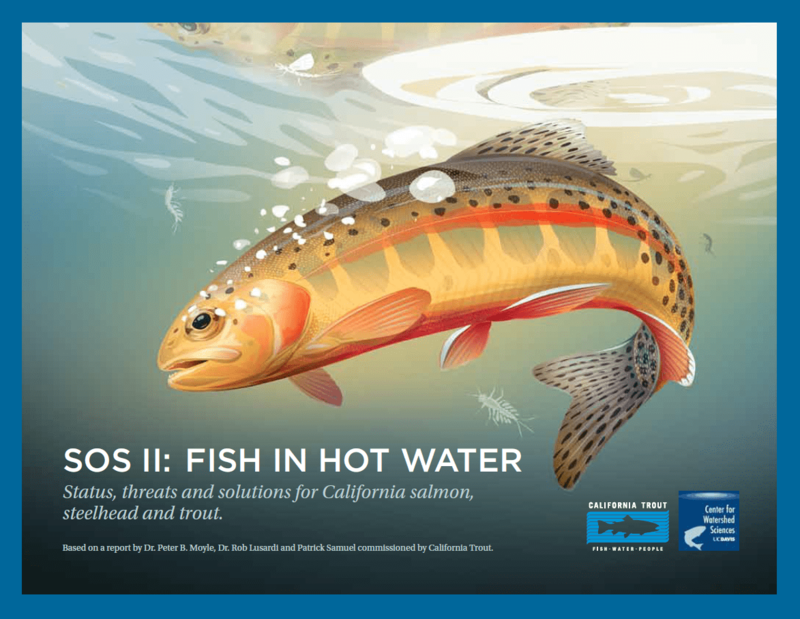 california water Archives | California Trout, Inc.
As we learn more about Congress and the State’s focus on building more dams, CalTrout remains invested in finding better solutions, ones that involve working with nature, rather than against it. How can we accomplish this? Allow floodplains to live up to their name and flood. 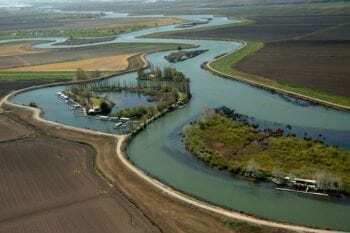 Prime example is the Yolo Bypass which plays a vital role in flood protection from the city of Sacramento. 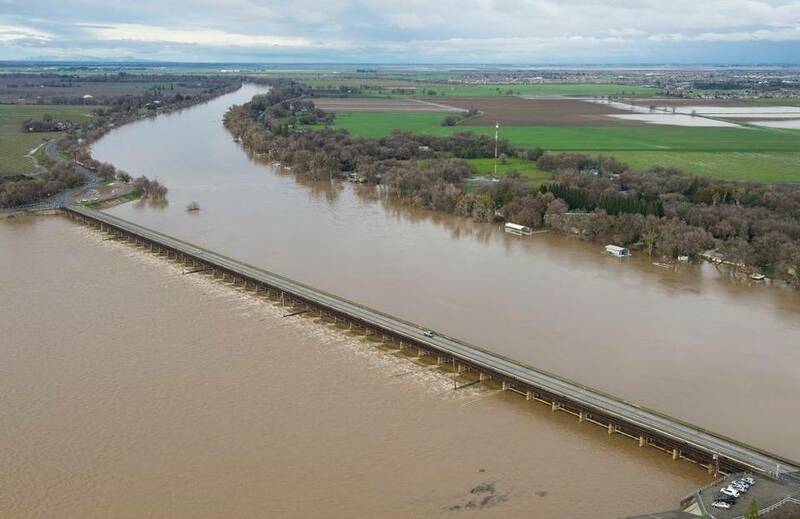 Several times this winter, floodwaters were diverted onto the Yolo floodplain, keeping Sacramento residents safe and dry. During times of intense rain, floodwaters can be diverted onto the floodplain, mimicking the natural and historical purpose of the floodplains. 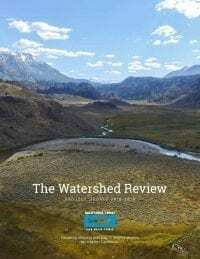 Reconnecting rivers to their floodplains is a win-win-win situation. Over-pumped groundwater aquifers are recharged, habitat is restored for waterbirds and fish, and more reservoir storage becomes available with dam operators able to release more water during floods. In the face of a changing climate, aging water infrastructure, and conflicting goals, this situation is becoming increasingly critical. It is very clear, especially in the wake of the crisis at Oroville dam: California’s water system is overdue for an upgrade. Continuing our heavy reliance on “grey” infrastructure will not be able to meet California’s future water needs (as it hasn’t with our past and current needs). Our Nigiri Project in the Central Valley demonstrates our love for floodplains and the Yolo Bypass. 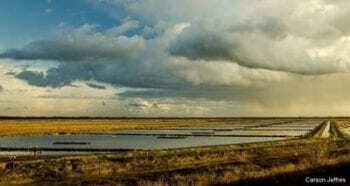 We’ve validated that California’s floodplains can work for both fish AND farms. When water is slowed down and spread out across agricultural fields (i.e., historic floodplains that sit dormant in the winter) a bug buffet is created. Learn more about the project here or watch our small film about a big idea, No Going Back. 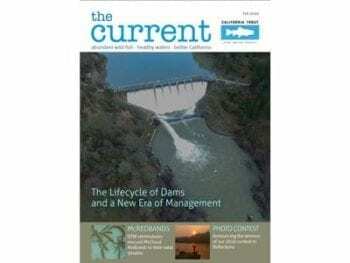 CalTrout recently wrote about this very topic – the lifecycle of dams, and profiled three dam removal/evaluation projects we’re involved with in The Current. You can read that story here. To read the full San Francisco Chronicle story click here. Last week we voiced our concern about a last minute addition of Sen. Dianne Feinstein and Rep. Kevin McCarthy’s nearly 90-page “rider” into the Water Resource Development Act (WRDA), also called the Water Infrastructure Improvements for the Nation Act (WIIN). While the WIIN Act took positive steps towards improving water infrastructure projects across the United States, the backroom deal introduced a separate controversial California water bill to the fast moving and popularly supported WIIN Act. The rider went on to pass in the Senate, despite a filibuster attempt by Sen. Barbara Boxer, and was signed into law last week by President Obama. Provides nearly $558 million in drought relief for California. Provides support for desalination, water recycling, and water re-use projects. 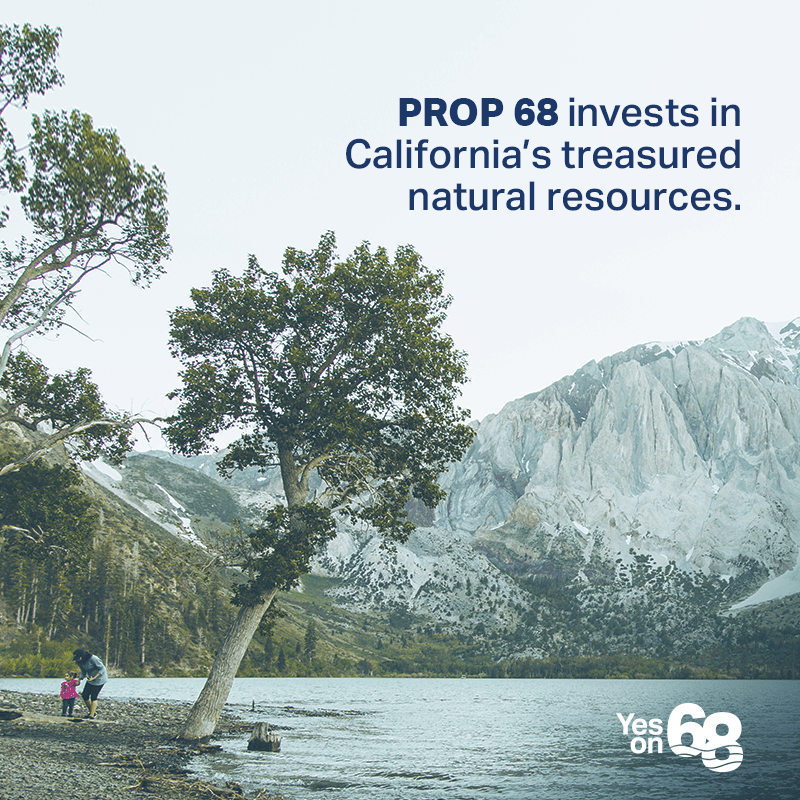 Includes the Lake Tahoe Restoration Act, which authorizes $415 million to improve water quality, restore critical habitat, fight the spread of invasive species, and other important ecological actions. Authorizes $170 million to address the drinking water crisis in Flint, Michigan. 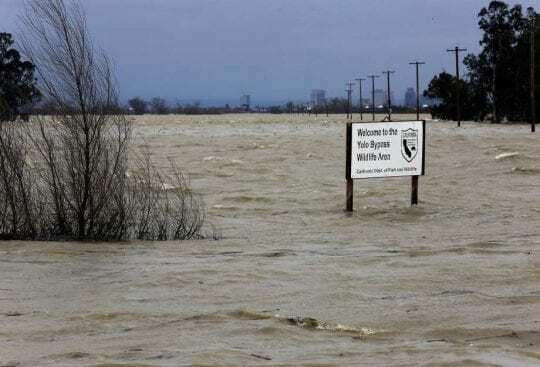 Authorizes increased pumping from the Sacramento-San Joaquin Delta. Although the bill references the biological opinion that sets the maximum pumping rates for the diversions, the bill instructs state and federal water managers to “provide the maximum quantity of water supplies.” This essentially allows for the highest pumping limit stated on the biological opinion at all times, and during extreme weather events it authorizes pumping beyond that stated limit. Weakens the Endangered Species Act (ESA). This regulation is at odds with the intent of the seminal environmental protection for species in the United States. The bill’s authorization of increased water pumping could jeopardize a number of endangered species in the Delta, and calls into question whether the ESA can be circumvented by similar efforts in the future. 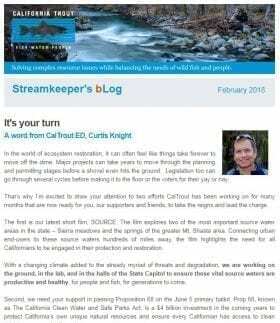 CalTrout will continue to monitor the WIIN Act’s effects on the California water picture going forward. 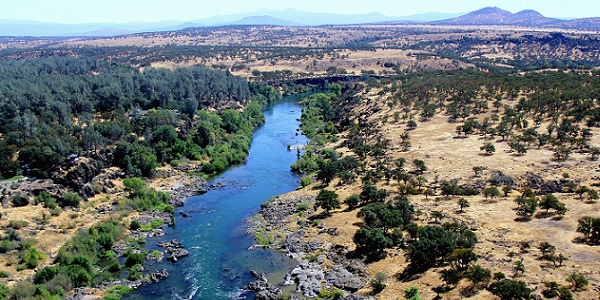 There is no doubt that the threats to California’s Central Valley salmon are many. And just as there are many threats and reasons for their decline, there is the need for a variety of solutions. 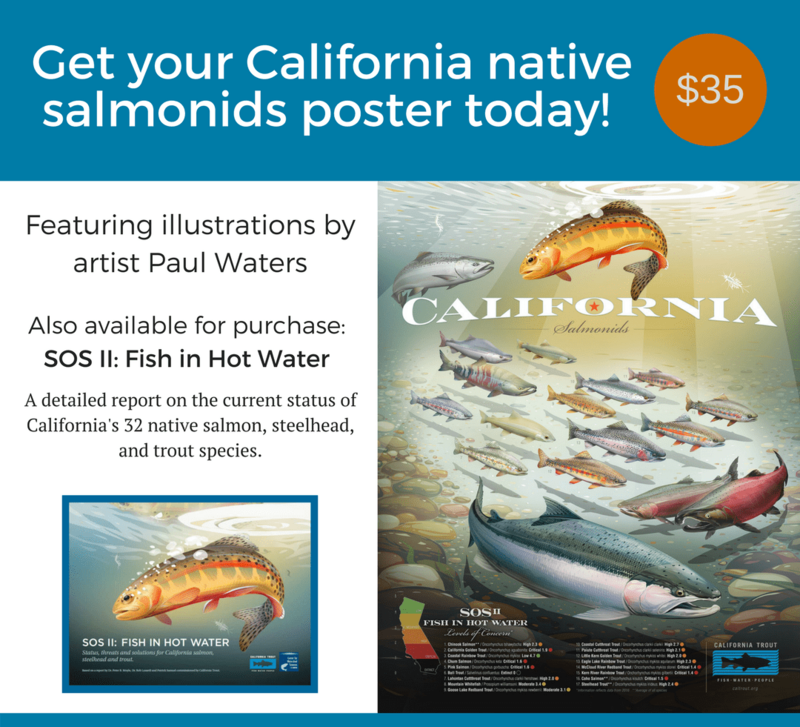 No one approach will bring our native salmonids back to abundance. There must be an ecosystem-wide approach to restoration and reconciliation. 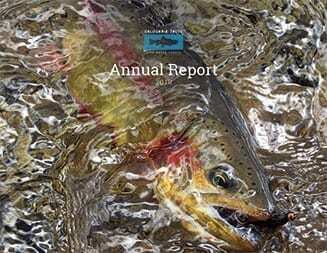 These recent articles take a look at what has caused the decline in Chinook salmon and other native fish and suggest solutions for turning the tide. In the Water Deeply article, “Is California’s Water System Really Broken,” Alastair Bland looks at whether striped bass are the main culprit of Chinook salmon’s decline, as many Central Valley water managers and farmers contend, or could it be the increased amount of water being pumped from the Delta thereby harming the entire ecosystem? In an average year, more than half the Central Valley’s winter–spring runoff is captured behind dams or pumped out of the Delta, according to Jon Rosenfield, a conservation biologist with the Bay Institute. That’s too much. Scientists have calculated that a healthy Delta ecosystem would need closer to 75 percent of that flow moving through the estuary and into San Francisco Bay. In the Merced-Sun Star’s article “What’s eating the salmon?” fingers again point to the striped bass as a major problem in salmon declines but also recognize the need to restore floodplains and tidal habitats as effective solutions. Another area where improved management can help is restoration of tidal habitat. Young salmon need a place to grow before migrating to the ocean. The Delta that existed before development began 150 years ago had vast swaths of tidal marshland that served as incubators for young fish. Today it is estimated that just 15 percent, and some say as little as 4 percent, of natural areas remain unchanged. 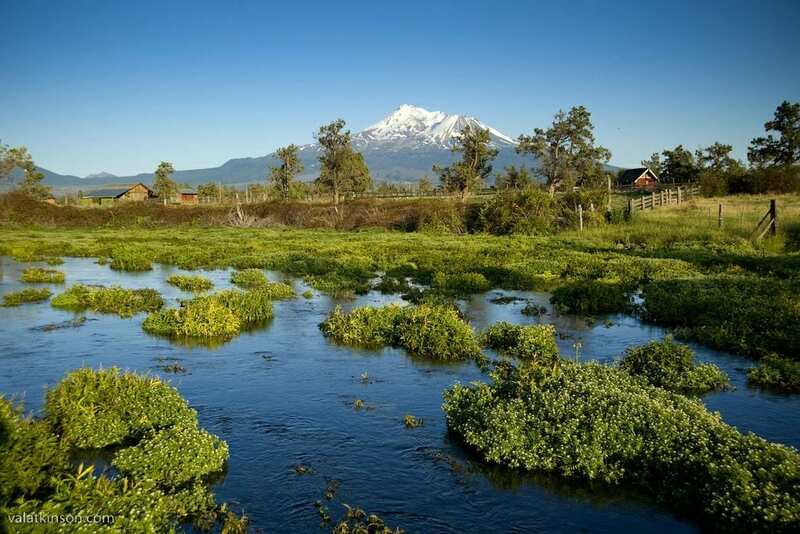 CalTrout’s Nigiri Project addresses this critical floodplain restoration solution, demonstrating that the creation of surrogate wetlands to mimic the floodplain rearing habitat used historically by young salmon benefits fish, farms and people. We also support Measure AA on Bay Area county ballots this June which will provide funds for tidal habitat restoration across all nine Bay Area counties. To learn more about Measure AA, click here. 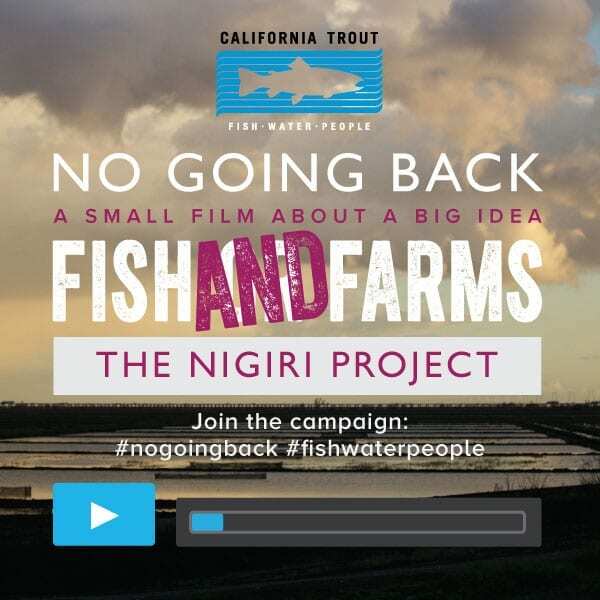 The Nigiri Salmon project at Knaggs Ranch got some love in the most recent episode of Angler West TV. 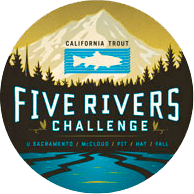 CalTrout Central California Director Jacob Katz and UC Davis’ Carson Jeffries do a great job of explaining the importance of flood plain habitat for salmon and steelhead. Check it out! Last week the San Francisco Chronicle ran an op-ed written by CalTrout Executive Director, Curtis Knight, along with California representatives of Trout Unlimited and The Nature Conservancy. The article highlights the challenges of controlling water diversions in the unregulated marijuana industry and the detrimental effect this has on stream flows and the environment. Marijuana’s semi-legal status makes this industry’s water usage challenging to regulate. Stream-flow protections and adequate funding to enforce them are essential to ensure legalization does not escalate detrimental environmental effects and push our wild salmon and trout rapidly toward extinction. With legalization a possibility in 2016, CalTrout, TNC and TU, are working to ensure that solutions are in place so California’s limited water supplies support people, businesses and wildlife. Read more about the BLM’s actions here. 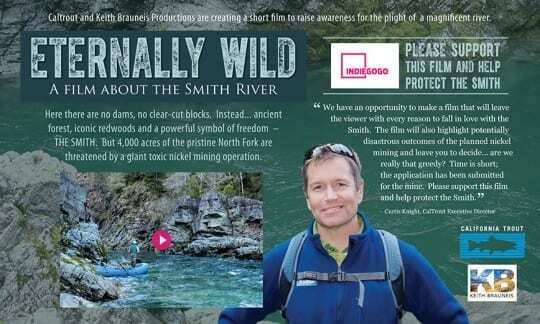 You can help make a difference as well by supporting CalTrout’s Indiegogo campaign about the Smith River, Eternally Wild. Help us tell the story of the Smith as we explore the question, “when is something truly protected?” Click here to donate to the campaign. The following Op-Ed by CalTrout’s Mt. Shasta/Klamath Director, Andrew Braugh, appeared this week in Redding’s Record Searchlight. The winter of 2015 was the driest winter in California’s recorded history. But despite the great drought—and perhaps the worst arid spell for California in 1,200 years—spring-fed water flows steadily in Northern California. You read that correctly. 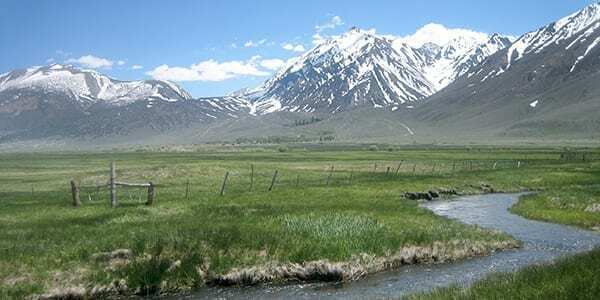 Even with a fourth consecutive summer of record setting drought, water from the depths of Mt. Shasta, Mt. Lassen, and the Medicine Lake Volcano rises insistently to the surface providing life for people, fish and wildlife, agriculture, and hydropower. As the drought reduces rain water and snow melt, spring water acts as an emergency reserve, currently pumping 1.7 billion gallons a day into Shasta Reservoir. In total, over two million acre feet per year of spring-sourced water flows from our region’s aquifers into Shasta Reservoir—California’s largest—accounting for about one-half of total storage capacity. Thanks to this water source, Shasta Reservoir is currently maintaining 61% of its historic average: more surface storage than any reservoir in the state (CA Department of Water Resources, 2015). Despite the undeniable importance of this water source, we know surprisingly little about the complex geochemical processes that fuel our major regional spring systems. It wasn’t until 2014 that researchers verified that the source of Fall River water—one of the largest spring-fed rivers in the entire western United States—originates from the Medicine Lake Volcano aquifer located just 30 miles east of Mount Shasta. 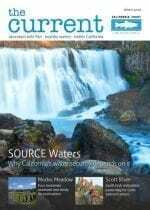 In response to our poor scientific understanding of source water, California Trout is launching a new assessment of California’s most valuable spring systems throughout the Klamath-Cascade region. First, establish a scientific baseline for all large-volume spring systems throughout the region. Second, identify important recharge areas and potential stressors. Last, inform decision makers tasked with making tough decisions about critical issues to California’s water and energy future, including geothermal development, groundwater pumping, additional surface storage, and water for agriculture and the environment. 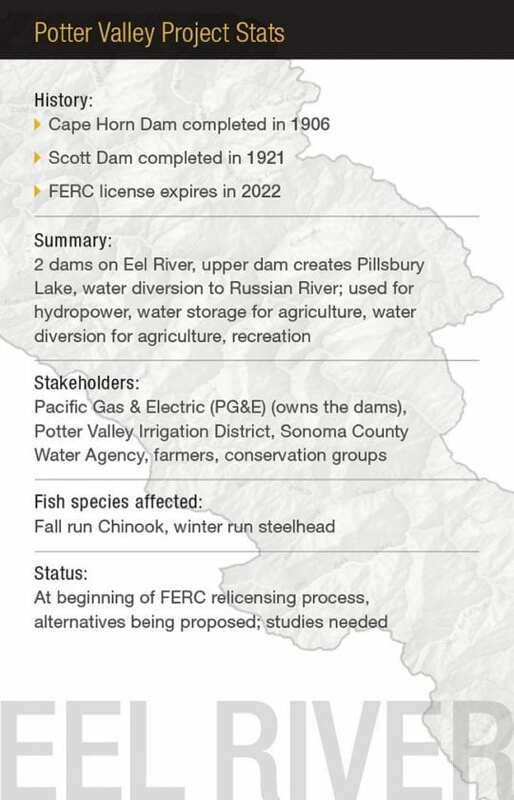 The study will include, among others, Fall River, Hat Creek, the Shasta River, and the famous McCloud River. Our Fall River work is especially important as Calpine Energy proposes geothermal development in the Medicine Lake Highlands. Not coincidently, the assessment will also include Big Springs, an important cold-water spring source to the Upper Sacramento River and lightning rod of controversy surrounding Crystal Geyser Water Company in Mt. Shasta. Crystal Geyser plans to invest $50 million to upgrade an existing bottling facility that draws water from the same aquifer that fuels Big Springs. Although Crystal Geyser is confident their operations won’t affect the springs or groundwater levels, their plans naturally raise questions about the vulnerability of the aquifer. 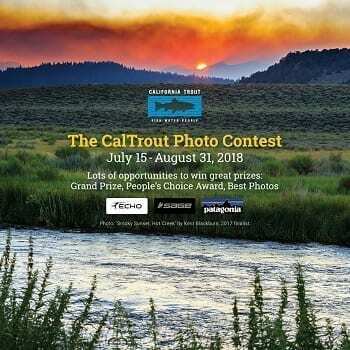 To begin addressing these questions CalTrout has developed a detailed study plan for Big Springs, which includes four new gaging stations and a real-time monitoring system that will measure possible changes in flow or water quality. Crystal Geyser fully supports this effort. 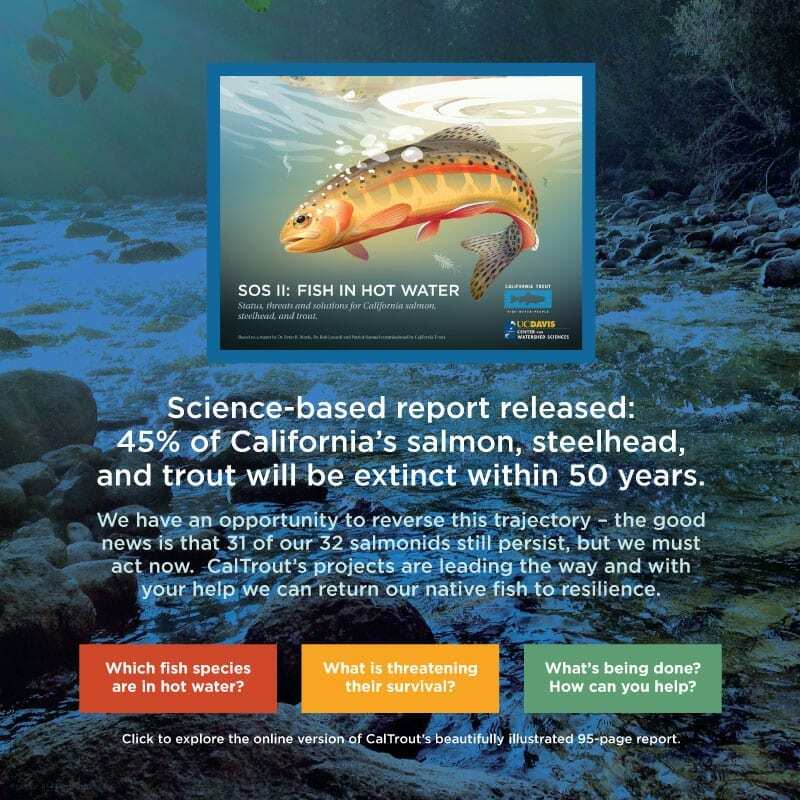 As with all our restoration efforts throughout the state, CalTrout is committed to pursuing scientifically-based solutions to complex natural resource issues. With the right approach, we can elevate public policy that balances the needs of fish, water, and people. But in the context of extreme drought, a changing climate, and increasing water demand, we need to improve our scientific understanding of these systems because spring-sourced water is more important than ever.